For most of us, there is someone in our lives who had a helping hand in shaping our lives. And for many others, they're lucky if they have had more than one guiding hand. 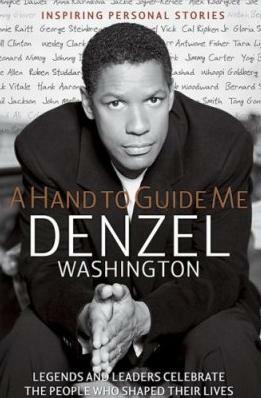 Academy Award-winner Denzel Washington's debut publication features 74 personal stories of such people. Featured luminaries who share their personal stories include: Muhammad Ali; Bill Clinton; Jamie Farr; Danny Glover; Yogi Bera; Jimmy Carter; Whoopi Goldberg; Leonard Nimoy; Gloria Steinem, and Toni Morrison among many others. Whether it was a parent, a grandparent, a coach, a teacher, or anyone else looking out for you, making time for you, just having your existence acknowledged, can go a long way to empowering you with a little self-confidence. This is how we should treat each other. At any age. Wouldn't that be nice? Acknowledge and listen. What I love about anthology-type books is that you don't lose track of the "story". It's wonderful to be able to read a few inspirational stories here and there, put the book down, and pick it up later and start again, anywhere. Washington is donating his portion of the proceeds from this book to the Boys & Girls Clubs of America, of which he's the national spokesperson. Visit the Boys & Girls Clubs of America's website for more information of how you can help. Conclusion - Inspirational and thought-provoking. Keep an ear and eye open for that someone special in your life - they're not always obvious at the time!